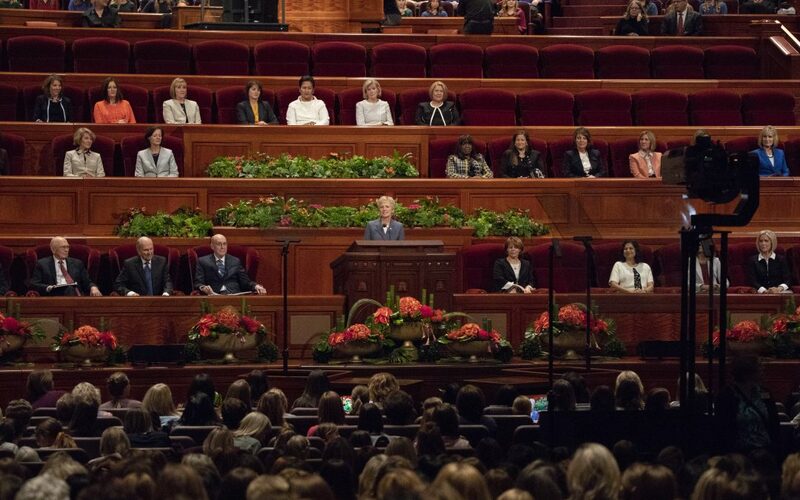 Thousands of female members of the Church gathered to hear counsel from Church leaders during the Women’s session of General Conference. Michelle D. Craig, first counselor in the Young Women general presidency, gave a talk about the difference between discouragement and divine discontent, which drives us to be more like Christ. She said that we should never suppress a generous thought because a good deed is never wasted. “Our discontent becomes divine when we humbly approach Jesus Christ with our want, rather than hold back in self-pity,” she said.